Xavier Pauchard was born in 1880, in the beautiful, wooded region of Le Morvan within the “green heart” of France. As a creative spirit, Pauchard followed the footsteps of his father and grandfather in his initial profession, which contributed significantly to what established him as a leader of functional furniture. Although in his time wood was regarded to be the most crucial construction material, Pauchard, his father, and his grandfather all perceived the world from a different angle, as zinc roofers. As he grew, Pauchard developed his knowledge and experience in dealing with sheet metal and zinc and as his interests in the creation of Mid-Century modern furniture began to blossom, he found his talent for shaping and wielding those materials. In 1907, Pauchard found that it was possible to protect sheets of metal against the common threat of rust by galvanizing them or dipping them in molten zinc. 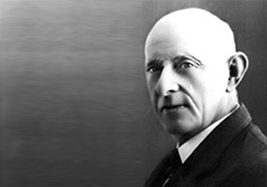 Within ten years he had founded his own factory for creating steel household items and eventually he decided to register the trademark symbol of “Tolix”, which continues to be recognized across the globe today. Originally, Pauchard’s furniture pieces found themselves primarily within office spaces, ships, factories, and hospitals as well as various outdoor locations, like public parks and café terraces, partially in response to their hard-wearing capabilities. However, as the years passed by, more people began to appreciate the versatility of Pauchard’s iconic concepts, welcoming them into their homes. Today, Tolix chairs can be found in just about any avenue of life, representing a timeless staple in the construction of Mid-Century modern design. As a master of crafting and handling metal, Xavier Pauchard found his fame not only for introducing the contemporary art of galvanizing steel to France, but also for taking that process further in the creation of stunning pieces of furniture like the Marias A Chair. The Marias A Chair, or the Model A Chair, was the first to be designed by Tolix in 1934. Originally, it was intended to be used on battleships, but despite this, the chairs quickly began to be distributed among cafes and bars in France as a promotion by breweries in the country. 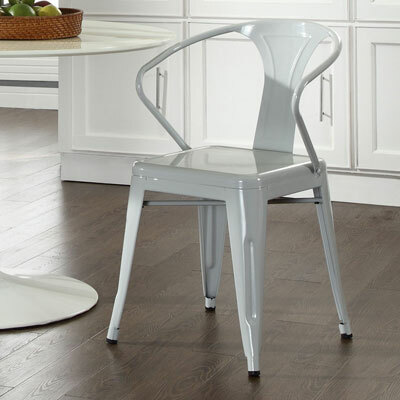 The industrial design of the chair is a perfect example of bistro-chic Mid-Century modern design. No matter where it appears today, it is recognized by furniture lovers for its robust frame and stunning lines. 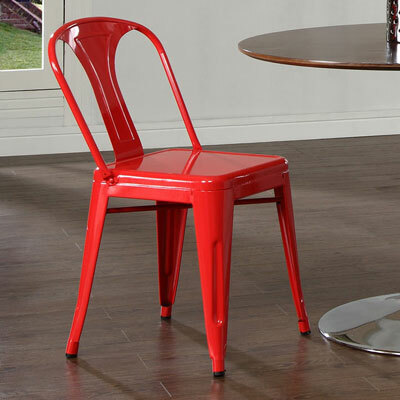 Although metal is used throughout, sitting on the Marais A Chair is actually quite a comfortable experience, thanks in part to the full-framed backrest which offers excellent support. Today, this design has found its place in the pages of history as an icon for industrial aesthetics, earning a prime spot in the collections of the Pompidou center, Vitra design museum, and MOMA. Pauchard’s exploration into the world of design did not stop after he achieved success with the Marais A chair. Instead, he went on to offer a full line of innovative and world-renowned pieces in the form of the “Tolix Chair Range”. Constructed out of buckled sheet metal, the collection is regarded throughout the world today as a classic of legendary Mid-Century modern design. Although the Marais range was supplied primarily to restaurants and bars through promotions by breweries in exchange for selling certain amounts of beer, the arrangement did eventually come to an end in 1970. However, the end of the arrangement did not mark the end of demand or desire for these chairs and the design was reissued once again in 1986. 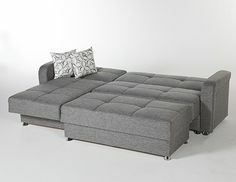 Now, Tolix is a name that is recognized everywhere as pioneers of high-quality furniture. The slight markings and abrasions on the armchairs are a perfect example of the personality of the materials and their hard-working machine aesthetic. As a designer, Xavier Pauchard was many things, but most experts agree that his most defining characteristic was his dedication to functionality. A master in the art of working with metal, Pauchard was described by Serge Lemoine – a historian of French art, as “simply a manufacturer, one who made practical items that would sell”. It was his skill in this area that caused Pauchard’s Tolix Bar Stool to elevate its position from street bars and cafes to mass production for businesses and home interiors across the world. When it comes to achieving the Mid-Century modern furniture look, the Tolix Marais bar stool offers a touch of industrial design, perfect for an urban, edgy aesthetic. 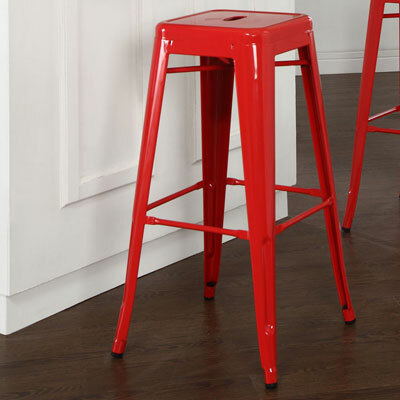 Shockproof, shower-proof, and stackable, these light and robust stools are as durable as they are popular. Although the Tolix chairs appear to be sleek and uncomplicated, their creation involves 100 different manual operations, which makes them far from simple. Now, almost a century after the company was founded, the Tolix name is still recognized across the globe as a sign of impeccable furniture. Xavier Pauchard’s designs have been marked throughout time as perfect syntheses, developed by the imagination of a man who possessed a deep and enduring understanding of raw materials and how to manipulate them. The Tolix chair achieved popularity from the moment it was introduced, and it remains an iconic Mid-Century modern furniture design concept to this day, displayed in museum collections around the world. Sir Terence Conran is just one of the many high-fame fans of these industrial pieces, known for describing them with the phrase “democratic excellence”. As time has passed, the Tolix chairs have found celebrity status of their own. Just like the Panton S Chair, created by Vernon Panton, was featured famously on the cover of Vogue magazine, so too has the Tolix chair, which rose to the dizzying heights of fame in Agent Provocateur’s Spring/Summer 2011 campaign. Through his use of simple, industrial, and functional design, Xavier Pauchard has carved his way into the annuals of history, inspiring numerous young artists with his imaginative approach to Mid-Century modern design. In a time when many of his peers where experimenting with different uses for wood, Pauchard chose to develop a material that struck closer to his own upbringing and experience, and as a result, he has defined himself as a designer never to be forgotten. This entry was posted on Friday, March 27th, 2015 at 10:20 am	and is filed under Mid-Century Designers. You can follow any responses to this entry through the RSS 2.0 feed. Both comments and pings are currently closed.